Place in the World – Music | What's (in) the Picture? Images of the place I live, my place(s) in the world. One is a bit hard to grasp: music. ‘Place in the world’ brought me immediately to In My Place by Coldplay. Can this song be about flowers? 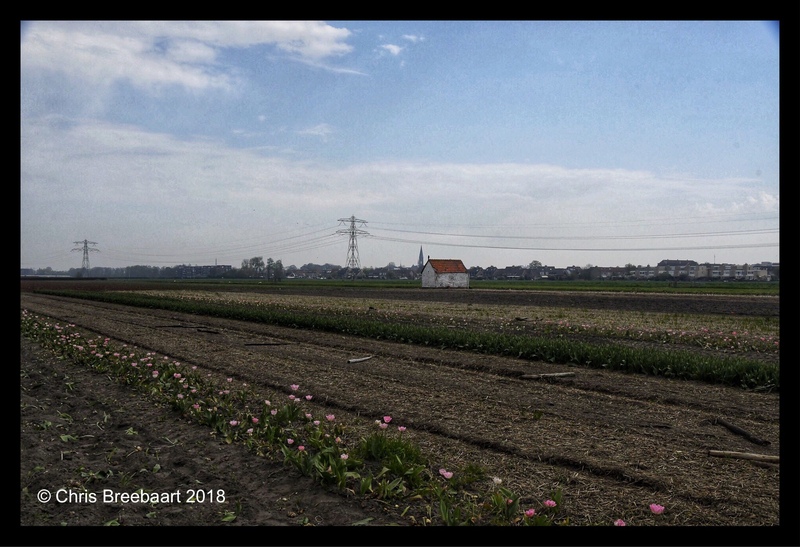 Last month, exploring the flower fields with tulips near my village (place), I came across this setting. Taking this photo, the power lines and the lonely house set the atmosphere; the flowers are almost gone, some are still there. Flowers come and go, and you have to wait another year for them, but singing flowers? Well, it checks boxes, but not all of them. Perhaps I cross lines I should not cross? Do enjoy the song and the photo.